theaussieword.com caught up with Irish twins John and Edward Grimes from JEDWARD in this very special exclusive interview! 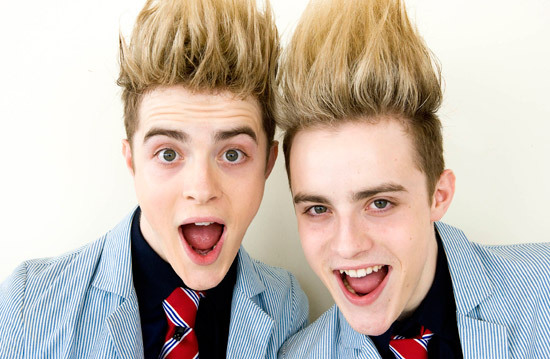 We are John and Edward Grimes, twins from Ireland. In 2009, we came sixth in the UK X-Factor. As musicians, television personalities, actors, models and celebrities, we have worked throughout Europe, during the last four years. 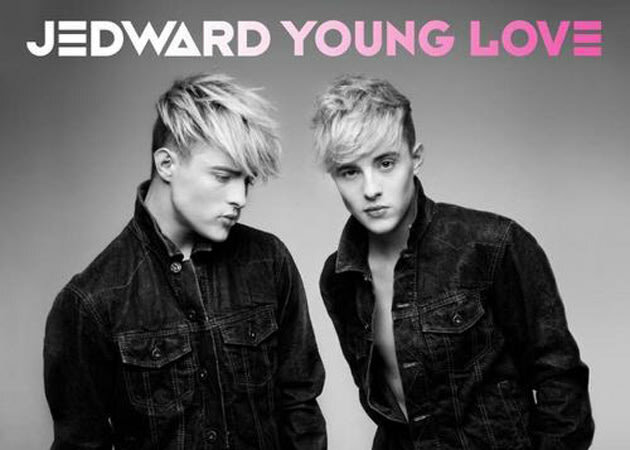 The three Albums we released are “Planet Jedward” in 2010, “Victory” in 2011 and “Young Love” in 2012. Our first single “Under Pressure (Ice Ice Baby)” featuring Vanilla Ice, debuted at No.1 in Ireland and No.2 in the UK charts. During the last three years, we have played hundreds of Sold Out concerts across the UK, Ireland and Europe. For two consecutive years we were voted to represent Ireland in the Eurovision Song Contest, performing”Lipstick” in 2011 and “Waterline” in 2012. The thing that had us first interested in music was that it was an outlet for expressing ourselves. We really want to do it for our fans because they’re always there for us and want new music to put on their ipods. Yes, we have our first Australian tour this month and we can’t wait because this is our first time performing in Australia. To make people happy and to put positive vibes out there and to bring people together. They can expect a new album, new music videos, spontaneous trips across the world and thousands more fun tweets from @planetJedward. We think the secret to success us not to care about what other people are doing and to focus on your own goals and just staying in the race. Our biggest career highlight so far is probably having three albums because we never thought we’d have three albums; Planet Jedward, Victory and Young Love. We think Taylor Swift because she brought country music to the forefront of the music industry and her lyrics really connect with her people all over the world. Our music has a lot of positive energy and captures every emotion and is best played on full volume. Our latest album has nine music videos, 8 of which we made and directed, we love the artistic freedom that making our own music videos gives us. All the songs on the album are different, each song from track one right until the end tells the story. Yes, TV shows and animated TV shows, also more surprises but you’re going to have to wait to find out! We would love to have our CDs available in every country so that everyone all over the world can be a part of Planet Jedward. We would also like to get into writing and producing songs for other artists and learning more instruments. Cody Simpson and The Veronicas. We think social media is a great tool to connect with the fans because they all want to be part of the lifestyle of their favourite artists and social media is a great way of sharing that with them. We think the industry is constantly changing and is definitely moving in a more technological direction and we are very excited to be a part of it. J to the E to the D to the WARD PLANET JEDWARD! Next PostTheAussieWord on JOY 94.9 #RiseUp Breakfast Show! Brilliant interview Brian! Thank you so much! Thanks for checking it out Julie! Great interview, it sounds like some very exciting things coming up, thank you.